Imogen's Typewriter. 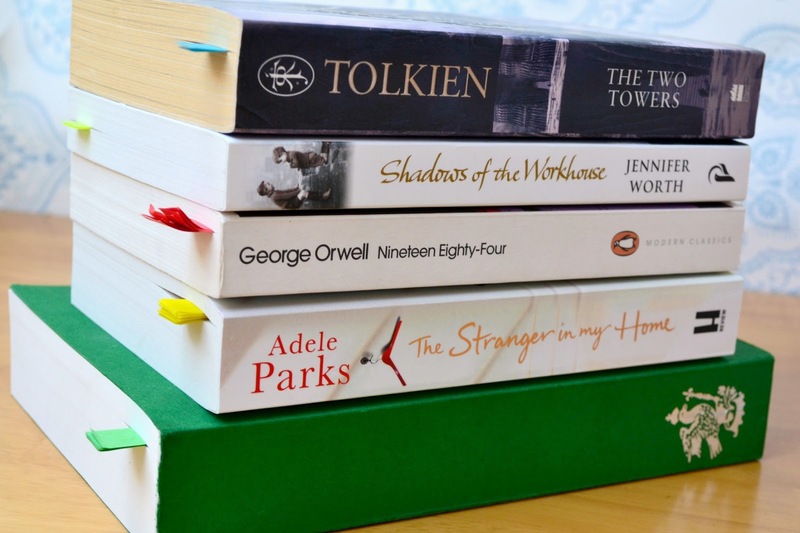 : My Spring TBR! It feels strange to be writing this while there's snow on the ground but hey! I didn't do a post-Christmas Winter TBR because January is a busy yearly-wrap-up time on the blog, then February was just wow busy. 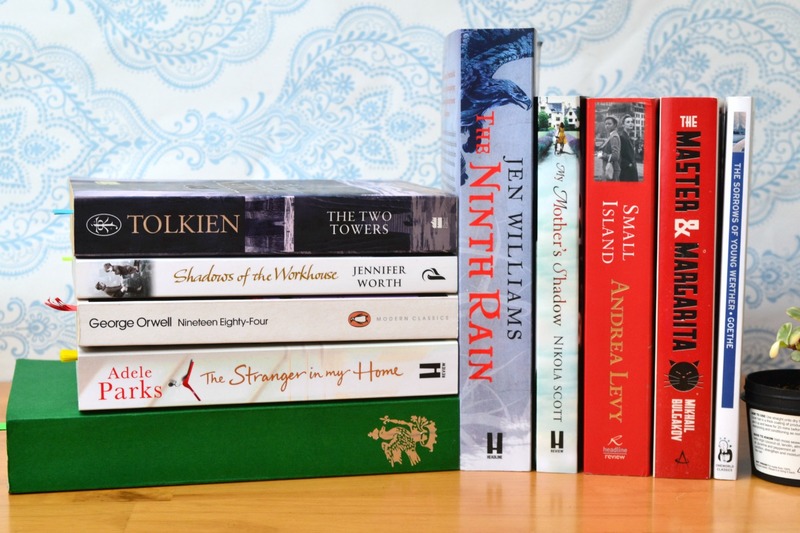 In fact, it was my first month in over three years that I have no books for a Books I Read in monthly wrap-up! Although I did start a lot of books in February. These are the books I started in February! With the exception of The Two Towers by J.R.R. Tolkien which I took a break from while listening to Catch-22 by Joseph Heller on audiobook in January. I need to jump back into that. Another series I'm continuing is the Call the Midwife series, with the second book; Shadows of the Workhouse by Jennifer Worth. I read the first book last September and really enjoyed it but I had no plans to continue so soon. However, the new season of the show is out and I really wanted to delve into the books again. As you can see, I'm about half-way through and should finish it up easily. My reading goals for 2017 included challenging myself and to stop putting books off. So when I saw that sales of 1984 by George Orwell had skyrocketed after Trumps presidency, I wanted to see why. Reading this in London? With all the CCTV cameras? Spooky. I already had the book but I've since bought the audiobook which I prefer for classics to finish. My favourite book last year was If You Go Away by Adele Parks so I was super excited to get my hands on her new book, The Stranger in my Home* and meet her and have her sign my book. And I'm really liking her writing style in contemporary. I also met Alison Weir in February and she blessed me with a proof copy of Anne Boeyln: A King's Obsession* which you might remember from my most anticipated releases post, or the first book being one of my favourite books from last year. I've been carrying this around like it's my baby since I got it but it's slow reading. I still prefer Queen Katherine though! Onto the books I haven't yet started! 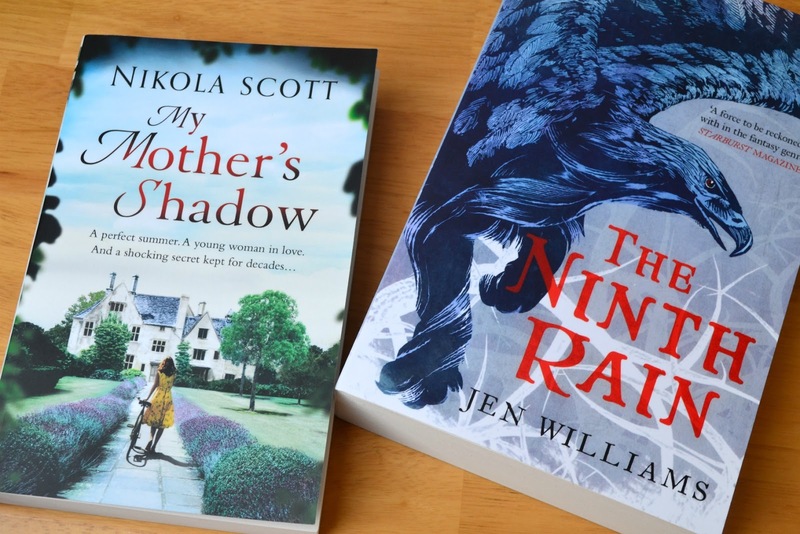 While I was at the book event where I met Adele Parks and Alison Weir, I was introduced to Nikola Scott. Her debut novel, My Mother's Shadow* is coming out this year and if it's half as good as she is nice- it'll be an amazing book. Nikola is one of the loveliest people I've ever met and I can't wait to read her book. While I was there I also snagged a copy of The Ninth Rain by Jen Williams*. I missed out on her last trilogy so I'm looking forward to jumping on at the first book with her new one; The Winnowing Flame trilogy. It's also been a long time since I sat down with a hunking great fantasy book and lost myself so I'm hopeful. 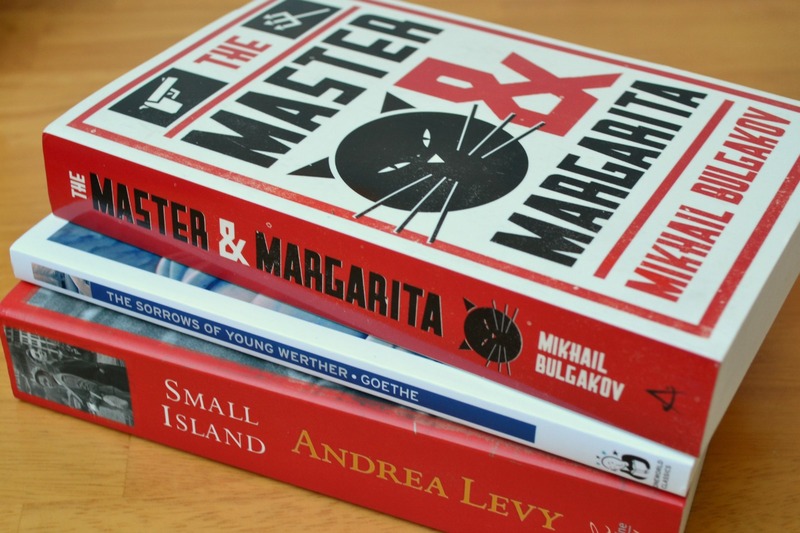 After reading A Young Doctor's Notebook in January, I mentioned to my parents that I really enjoyed it and ended up getting The Master & Margarita by Mikhail Bulgakov for my birthday! I'm all about reading more challenging books this year and after loving his short stories, I think I'm really going to like his novel. Another translation is A Sorrows of Young Werther by Johann Wolfgang von Goethe. I was looking for German classics because I'm currently learning German and was feeling quite classic-y at the time, when I came across a book I already owned! I got this in a bundle back in March 2014, so it might be time to finally read it. And lastly, Small Island by Andrea Levy. When I'm feeling bored/ blue/ procrastinate-y, I re-organise my books and I was looking through my stand-alone when I came across Small Island and thought, yeah. I want to read this soon! It's won award after award and deals with post-WWII racial issues, which isn't a subject I know much about. Phew! Wish me luck! What do you want to read this Spring?